The industry's average balance sheet leverage ratio jumped to a 10-year high of 6.3x during FY18, up from 5.9x a year ago and 4.1x in FY10. In comparison, HDFC -- the industry leader and the lender least affected by the recent turmoil in the industry -- had debt to equity ratio of only 3.9x last fiscal (Please see the chart). "Liquidity situation was quite benign till a few months back and there was a good appetite for retail NBFC paper, especially from mutual funds. Given this, lenders had no qualm about stretching their balance sheet, and continue to grow faster," says Dhananjay Sinha, head research at Emkay Global Financial Services. Analysts also say that equity raising entails equity dilution, which is frowned upon by existing equity investors as its dilutes the companies' future earnings per share and dividend per share (if any). For example, incremental equity capital, including retained earnings, accounted for only 10 per cent of the industry's incremental assets growth in the last three years (between FY15 and FY18). In contrast, incremental borrowings, including deposits, accounted for nearly three-fourths of the industry's incremental loan growth. "Wholesale funding is now an issue for NBFCs due to tighter liquidity and steady rise in interest rates. 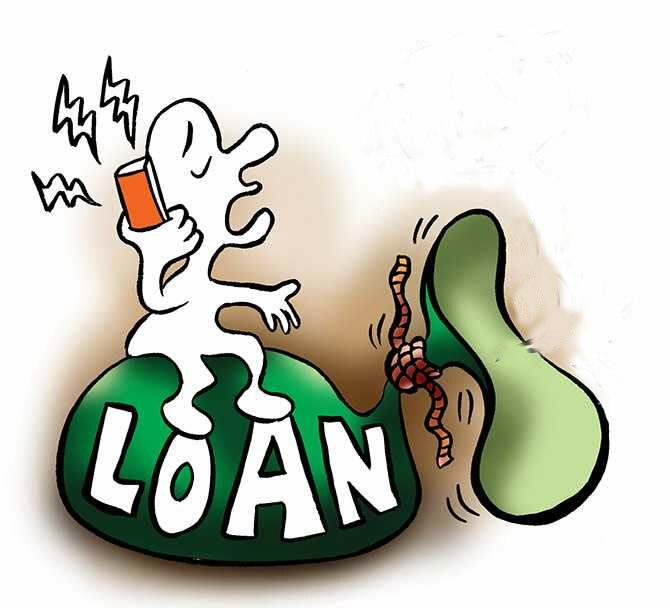 Non-bank lenders will now have to either take a hit on loan book growth or raise fresh equity to continue grow their business," says Karthik Srinivasan, head of financial sector ratings ICRA. "Regulation allows HFCs to leverage their equity by up to 16 times, but higher leverage means greater dependence on money and bond market that has become risky in current environment," says Srinivasan. "This is squeezing the margins for NBFCs and the impact is greatest for those with lower capitalisation," says Sinha. Capitalisation is the share of equity or net worth in a lender's total assets. Analysts also say it won't be easy for companies to raise fresh equity capital given the recent sell-off in the sector. "Retail NBFCs were sought after by equity investors till few months back due to high double digit growth reported by them. 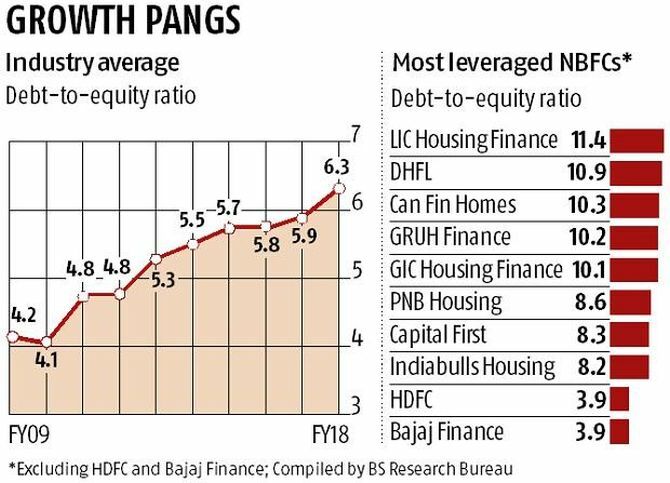 The cycle has now reversed and NBFCs are going through derating (cut in earnings multiple) and will require lot of convincing for companies to raise fresh capital in the current environment," says Sinha.